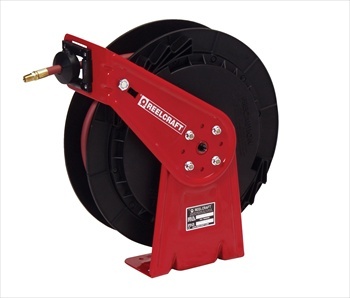 REELCRAFT ReelTek Light Industrial Air/Water/Oil Reels are ideal for less demanding industrial applications. Corrosion-resistant plastic housing with powder coated steel components. Ratchet system is on outside for easy maintenance.